Crank (Crank Series #1) - Because Books! I read this book in a little over two hours without taking a break. I'm still "jittery" from my experience with it. This is my first Ellen Hopkins novel and I have to say, it won't be my last. I adore her style of writing. She has such a beautiful way with words and some verses were so real they will be etched in my mind forever. 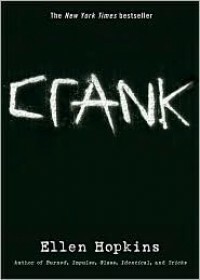 So "Crank" is about a young teenage girl's battle with drugs and the lifestyle surrounding drugs. I've read "Go Ask Alice" and that book terrified me, in a good way. So in terms of the story line, it's nothing new. But knowing that only makes this book even more powerful. I don't want to start preaching "SAY NO TO DRUGS!" but here, Kristina is an ordinary "straight" teenage girl who becomes someone else within a week because of one little change. Meth.She was already struggling with her self esteem so she "invented" Bree, who comes out in situations Kristina would shy away from. I have tried that method before, I admit. 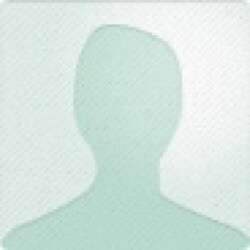 I am a shy, anxious person so I have thought about channeling a better version of myself. So Bree wanting to impress a guy, gets a hit and the rest of the story unfolds in breathtaking verses and unusual structures.I found Kristina to be incredibly naive and all the characters and situations in this book were cliched. Which is why it's not a 5/5. But that doesn't mean this story is bland. Once again, credit to Ellen Hopkins' writing. There were some parts that made me wish to disconnect myself from the story and the characters because it was too much for me, but I carried on because I couldn't put it down!As a teenager, I am so very aware of drugs. I know and as far as I'm aware, all the teenagers know the risks of drugs and I think the reason teenagers and anyone else really tries them is because of the mentality that "I won't get addicted" or "just this once". Kristina is only 16 years old and she's inexperienced and she's going through what most teenagers go through; feelings of not fitting in and not being good enough etc. So it's easy to latch on to substances that diminish those feelings, and you do get friends through being part of that scene. And it's so sad because it's so real and I know it's happening.Without preaching, I'll just say I loved this book so much and I wish more people would read it and understand it. The descriptions were flawless.